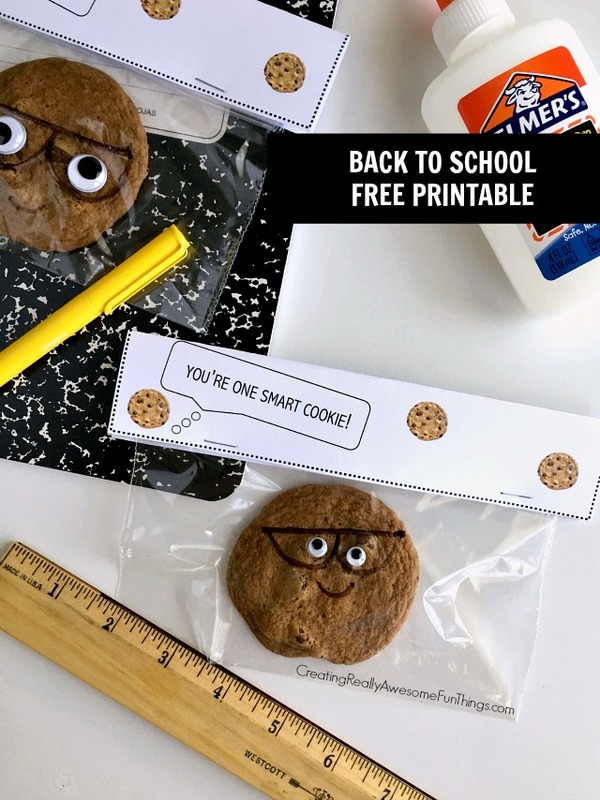 You're One Smart Cookie: Back to School Treat - C.R.A.F.T. Is it really back to school time? I saw the school supplies section all set up at Target last week, so I guess it’s true! 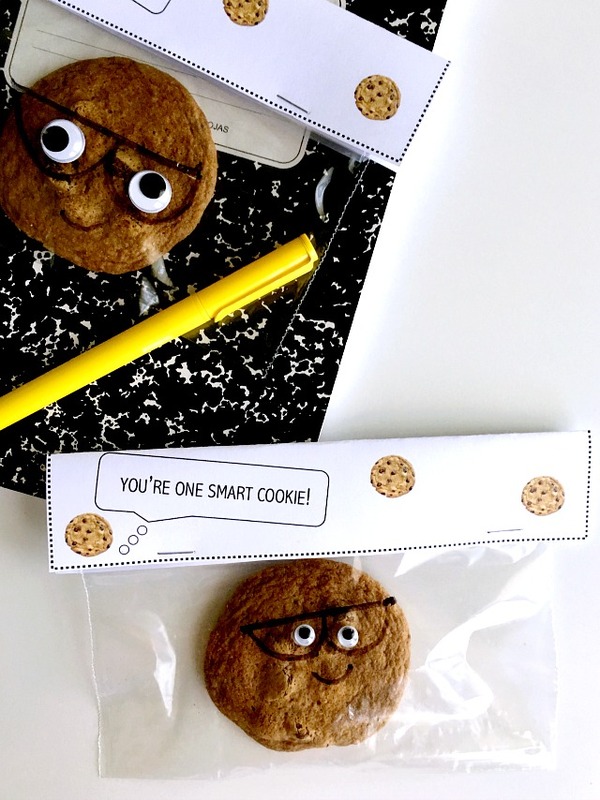 These “You’re one smart cookie” cookie treats are perfect for a back to school party or even a lunchbox surprise. They would also be supe cute for teachers to hand out to kids at meet the teacher night. Y’all know I love my cheesy sayings, so expect a few more before school starts! This “I‘m so glad we’re in the same school” free printable would also be perfect for back to school. Just add goldfish or Swedish Fish, yum! I teamed up with my friends Angie from Country Chic Cottage, Carolina from 30 Minute Crafts, and Kara from Happy Go Lucky to share tons of 15 minute back to school craft ideas! Getting something printed is always the hardest part for me! My printer doesn’t work right, I’m out of ink, jammed paper… more often than not I end up at Staples to print. Once you get the free “You’re on smart cookie” printed. It’s as simple as cutting each sheet out, doodling glasses, and stapling the bag topper closed. I found it was a lot easier to draw the glasses on when the cookie when the bag is empty. 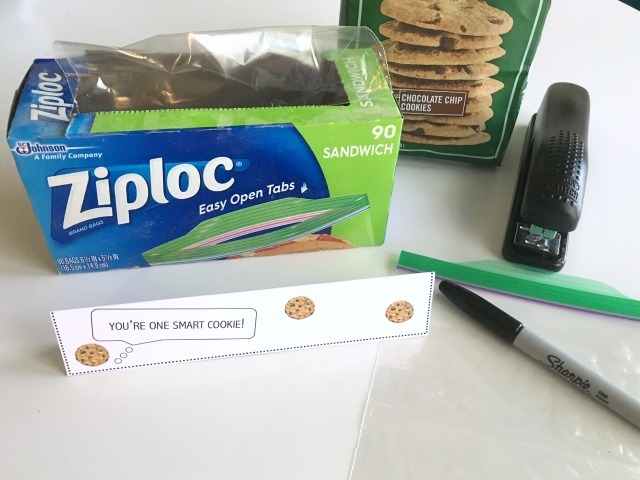 Stick the cookie in the bag to get a measurement, stick the googly eyes on the bag, and then take the cookie out t odraw the glasses on the Ziplock. Don’t forget the smile! When do your kids start school? Mine don’t go back until the first week of September. Enjoy the last month of summer, y’all! You are brilliant!! Thanks for joining!